Losing weight can be a frustrating business for many people, especially with so many different diet plans out there all promising fantastic results fast. You should be very wary of these types of claims as they often promote very restrictive and often quite dangerous diets that can do you more harm than good. The biggest mistake most people make whilst on a weight loss diet is to not understand proper food combining, which means they often leave out vital nutrients that are very important to health. 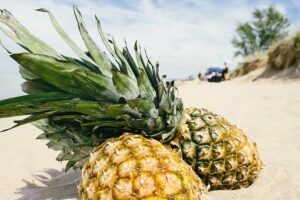 In this post we will discuss the top 6 dried fruits scientifically proven to boost weight loss, and which foods to best combine them with for added extra benefits. What is the Best Dried Fruit for Weight Loss? A lot of dried fruits it can often be super high in sugar and you need be wary of this – especially when it comes to the topical fruits such as banana, papaya, mango, pineapple, and banana. The drying process concentrates all fruits sugars, but even more so in tropical fruits that are already very high before the drying process, therefore, be sure to eat these particular fruits in moderation if you wish to keep your weight down. The best dried fruits to eat for weight loss in particular are already the lower to medium sugar fruits before they’re dried, such as those on the list below. This list also gives the other reasons as to how and why these particular fruits can help you to lose weight when eaten in moderation on a weight loss plan. HIGH IN FIBER – Apricots are very high in fiber, that not only keeps you regular, but also keeps you FULL – meaning less room for snacking on the bad stuff and ultimate weight loss. HIGH IN ANTIOXIDANTS – Both vitamin A and vitamin C are antioxidants that can help with weight loss due to the fact that these antioxidants can help speed up your metabolism. RICH IN POLYPHENOLS, FLAVENOIDS AND NUTRIENTS – All of these are high in apricots; plus, keeping quality nutrients going into the body will stop food cravings as your body will not be starving for nutrition. CAN HELP LOWER INFLAMMATION – Chronic inflammation is rife, often due to our modern diets filled with junk foods, trans fats, and sugars; not to mention all those environmental toxins in the air being breathed in every day. Apricots contain powerful catechins that can help to lower this inflammation, thus promoting weight loss in the long term. HIGH IN IRON – Iron helps to boost metabolism – which also means you will obviousley burn more calories. 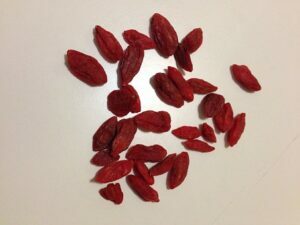 UNIQUE ANTIOXIDANTS – Goji’s contain their own unique antioxidants that cannot be found in any other food. HIGH IN PROTEIN – Goji berries are higher in protein than any other berry, and offer an impressive 11 essential amino acids. High protein foods are low GI and fill you up for longer, as do most other high protein plant foods. SELENIUM – An antioxidant that is good for the brain, heart, and immune system. Also needed for thyroid health; and a healthy thyroid will ultimately help to keep you slim. HAVE A GI OF 29 – Making them the lowest GI fruit to help fill you up, keep you full, and also control blood sugar – which of course means weight loss. A GREAT TRAINING FOOD – Perfect before, during, and after exercise due to their low GI carbohydrates and sustained energy release. They literally fill you up for hours and also refuel muscles after exercise. HIGH FIBER – To fill you up and keep your blood sugar stable. MAGNESIUM – Great for soothing anxiety, reducing muscle aches and pains after exercise, and helping PMT symptoms. HIGH POTASSIUM – Another reason they are great if you are into fitness, as they help to restore electrolyte balance in the body. BONE HEALTH – Gojis are great for the bones due to their nutrients of phosphorus and calcium. Keeping bones healthy and strong will keep you more mobile and able to exercise for longer. HIGH FIBER – Keeping you full and less likely to snack – meaning of course, ultimate weight loss! 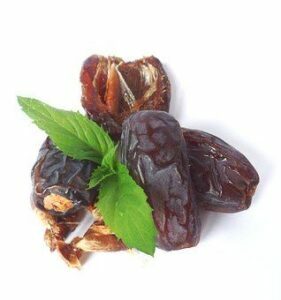 A HEALTHIER SWEET TREAT – Like the date, raisins are super sweet which makes them good for busting a sugar craving. Only a very small amount is needed to feel satiated, and is also much more preferable than reaching for refined sugars that will make you gain weight. REDUCE RISK OF METABOLIC SYNDROME – According to this study, raisins can lower your BMI, waist circumference, and body weight, AND lower your risk of metabolic syndrome and obesity. This is the main reason they can actually be classed as a fat burning food, which is contrary to popular belief. 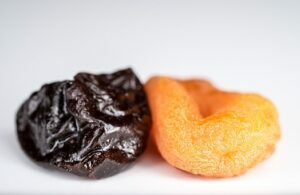 Prunes get a bad rap due to the fact that they are often eaten by the elderly to help keep them regular. But they truly do deserve to be made cool again as they are SO blimmin healthy! I spent most of my life not even realising what a prune actually was (it’s a plum by the way) and so I stayed clear of them. But, turns out they are actually pretty tasty and well worth a try before they get dissed. VERY HIGH IN ANTIOXIDANTS – Would you believe that prunes are even higher in antioxidants that blueberries? Well it’s true; so this is the number one reason why they are a great fat burning and metabolism boosting dried fruit. THEY KEEP YOU REGULAR – Prunes are so high in fiber that they are said to be better for keeping you regular than psyllium husk! Keeping bowels regular will help to drag out impurities and toxins from the body – all of which will contribute to weight loss in the long run. PROVEN TO BOOST WEIGHT LOSS – Prunes have been scientifically proven to have weight loss benefits due to their effects on satisfying the appetite. SOLUBLE FIBER – This is the kind of fiber that helps to control blood sugar, and being as stable blood sugar will help keep your weight down (and we’re talking specifically dangerous belly fat here) then it goes without saying that they are great for weight loss. INSOLUBLE FIBER – This kind of fiber keeps the digestive system healthy by dragging impurities out, which in turn helps to keep your body detoxified, thus leading to weight loss. CONTAINS PECTIN – Which is associated with feelings of satiety; plus it helps keep you full which stops you snacking or over eating. 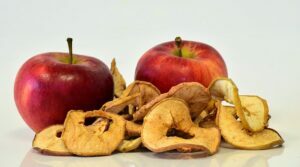 DECREASE IN LDL CHOLESTEROL – In this six-month study scientists found that women eating 75 grams of dried apple every day decreased their LDL (bad cholesterol) by 23%. And they also lost 3.3 lbs in weight, even though they were consuming an extra 240 calories a day in dried apple. As you can see, these fruits are all great on a weight loss diet as a healthy snack, but this should be instead of the more unhealthy foods that you may usually go for and not as well as. They are not only very sweet and satiating, but will also give you a hit of energy at the same time which is pretty much all of the things you want in a snack. Another great way to eat them is combined with some healthy fats and proteins in the form of nuts and seeds. Nuts and seeds contain an abundance of these and will also help to lower the GI of the fruits even more, which could potentially boost weight loss even further. 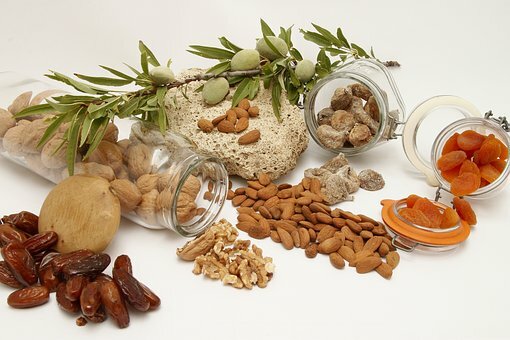 But be wary to only eat nuts and seeds in moderation (which would be a small handful) as they are very high in fats and calories, and too many will defeat the object of fat burning. Why not make your dried fruits more interesting by making a high protein granola for you breakfast, or any time snack. You can add lots of nuts, seeds, oats, buckwheat, or any other low GI grain or seed that you like and you can top it with coconut or soy yogurt, cinnamon, cacao nibs, and a nut milk of your choice. 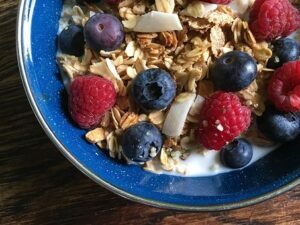 Please check out my amazing homemade high protein granola which I have also added known fat burning ingredients to. It’s really tasty and simple to make in big batches which will keep in an air tight container for months. I always have one of these on the go; it’s very versatile so you can use up all the unused nuts, seeds, and dried fruits in your cupboard. Thank you for reading this post today. I always appreciate and reply to any comments and questions about fat burning foods and a plant based diet, so go ahead and post below! Awesome post! It’s definitely got me thinking. My local supermarket doesn’t carry fruits like apricots, goji berries, or dates so they aren’t staples in my diet. But then again, maybe I’m not really looking for them as I’m not a huge fan of dried fruits anyway. I find that they’re sometimes too sweet, especially raisins. I thought it was just me who thought they were too sugary, but what you said about them being high in sugar makes sense. You know something interesting? I think after the dehydration process, it brings out the sugar. Because think about it, with the fruit in its natural state, it has a higher water content, so the sugar is sort of diluted, if that makes sense. Anyway, thanks for sharing this great information! Hey, yes I’m sure they probably would stock most of those fruits at your local supermarket if you looked. Maybe not the goji berries as they are harder to get a hold of, but I,m sure you could get hold of the apricots and dates. I just find dried fruits great when you really fancy something sweet as they stop you from going after more unhealthy sweet products, and the fact that some of them actually help you to lose weight is just an added bonus! I’ve shied away from dried fruits in recent years precisely because of the high sugar content. I hadn’t considered the possibility that there are dried fruits that naturally start out with less sugar. I’ll have to check those out, particularly apricots which I loved as a kid. Hi Jon, yes it makes sense that if they start out lower they will be lower in sugar overall. I understand your concerns with dried fruits as many people have them, but as you can see from the list a lot of them are just fantastic for health and even weight loss. I was pretty blown away myself whilst researching this post. 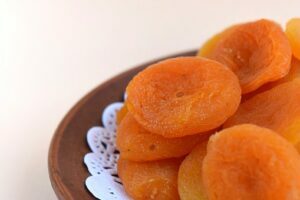 As for dried apricots, well the are just awesome health foods, and a I do believe they are one of the lowest sugar dried fruits. Their health benefits are vast and they are full of nutrients and beta-carotene. It’s best to try and buy the ones that are dark brown in colour and not the bright orange ones as they have been treated with a chemical that keeps the orange colour. They should naturally go dark brown when they have dried and this is a good thing. This is a very well written post! Thank you for sharing 🙂 I read the High In Protein Granola post as well. I’m definitely going to give it a try, sounds yummy! Hi Amber, that’s great, I hope you enjoy the granola, it’s so good to eat any time of the day when you fancy a snack! You’re welcome, I hope your Mom enjoys it! 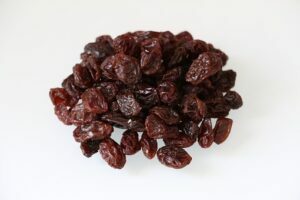 I do like dried raisins and had no idea that they could be so beneficial reducing the risk of metabolic syndrome. I also like dried fruits of many sorts and blueberries with cereals, really nice combination. Thanks for this as I am making my own dried fruits list in order to boost my own weight loss for a healthier me. Looking forward to reading more and I have bookmarked your website for future reference. You are very welcome Phil, I’m glad you have gotten something good from the post. Yes, I was pretty astounded by the raisins reducing metabolic syndrome too, but it’s all there in the study. For sure, adding these to your diet will help you with your weight loss efforts when combined with other healthy foods and a lower calorie consumption overall. By the way, you should definitely make the homemade granola that I posted the link to at the bottom of the post as you can get all your healthful nuts, seeds, and dried fruits in that and have it as a snack any time of the day. I even grab handfuls of it and eat it alone when I need a quick energy boost. This is great. I am always looking for foods that have high protein for a snack. I had never heard of Goji Berries. Thanks so much, I will be seeing if I can buy them today at the store. That’s great Braden, I really hope you can get hold of them, if not you can definitely get them online or in a health food store. I’m certain you will love them as I think they are literally the best tasting fried fruit ever; well that’s my opinion anyway. Good luck! I love this article. I’m always looking for something healthy to snack on that will help take care of my sweet tooth. Prunes are pretty good. I’ll eat them every once in a while. I have heard different health ‘experts’ say to avoid dried fruits because of the sugar content. A lot of them don’t tell you about the other good stuff they have in them. Those Goji berries sound good. I think I’ll get some and try them. But I have to remember…. moderation! Hey Lynn, yes dried fruits are often demonised pretty unfairly and I was probably guilty of this myself before I researched thoroughly for this post, A lot of them are high in sugar and may not be high enough in other health giving nutrients to warrant that high sugar content, but as you can see, the ones on this list are totally worthy. Most people, I have noticed, haven’t ever tried goji berries which is a shame as I can honestly say they are the most delicious dried fruit I have ever tried, and probably the most nutritious and lowest in sugar. So if nothing else, I urge you to try them. They are easily available in the UK but I’m not sure of their availability elsewhere in the world which may explain why most people haven’t tried them. Wow, thank you for sharing this useful and informative article. What most of the people know about dry fruits is that they are fatty and promotes weight gain. But I really love the way you have mentioned it, I agree with you as I have read many books about it too. 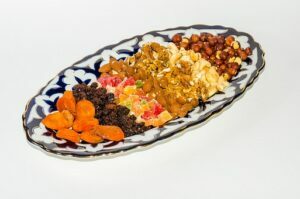 Yes many people think dried fruits are fattening, and they can be if you eat the wrong kind and too many of them. That’s why I have picked out the ones that are actually beneficial to weight loss and still a tasty sweet treat at the same time.